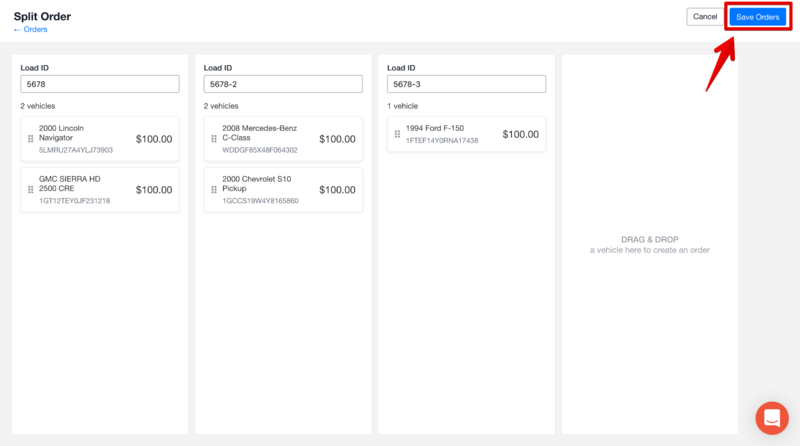 If orders come in with multiple vehicles that need to be split between multiple drivers, Super Dispatch's Dashboard allows you to do this easily. Using your computer's browser (we recommend the Google Chrome Browser) sign into your Super Dispatch Dashboard. To begin splitting, select the "option" button on the right hand side of the desired load. The column on the left side of the screen contains the vehicles from the original order. 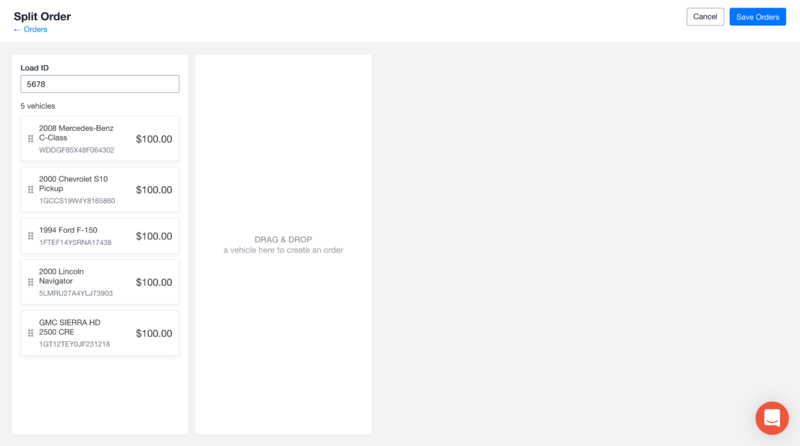 When you want to create another load using some of those vehicles, click on the desired vehicle and drag it into the column that says "Drag and Drop." This will create another load in a second column. The software will automatically label the Load ID as -2, but you can rename it to anything. You can create as many loads as you have vehicles by dragging them into the next column. Once you have created the amount of orders you need, click "save" in the upper right hand corner of the screen. 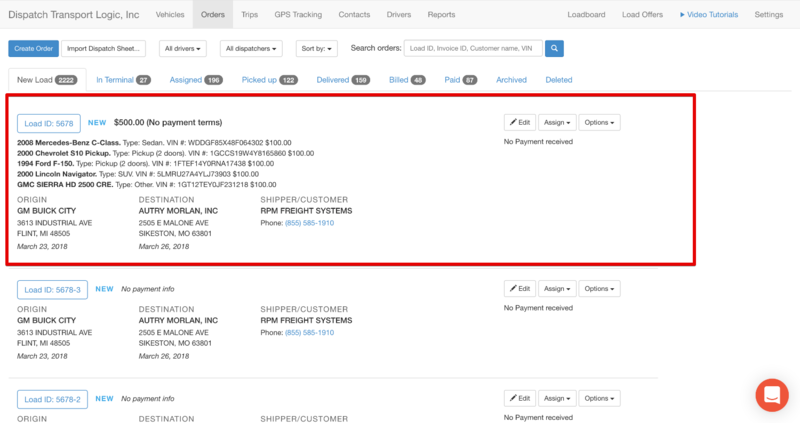 Once your new orders are saved, they will appear in the "new" tab of your Dashboard as separate loads. 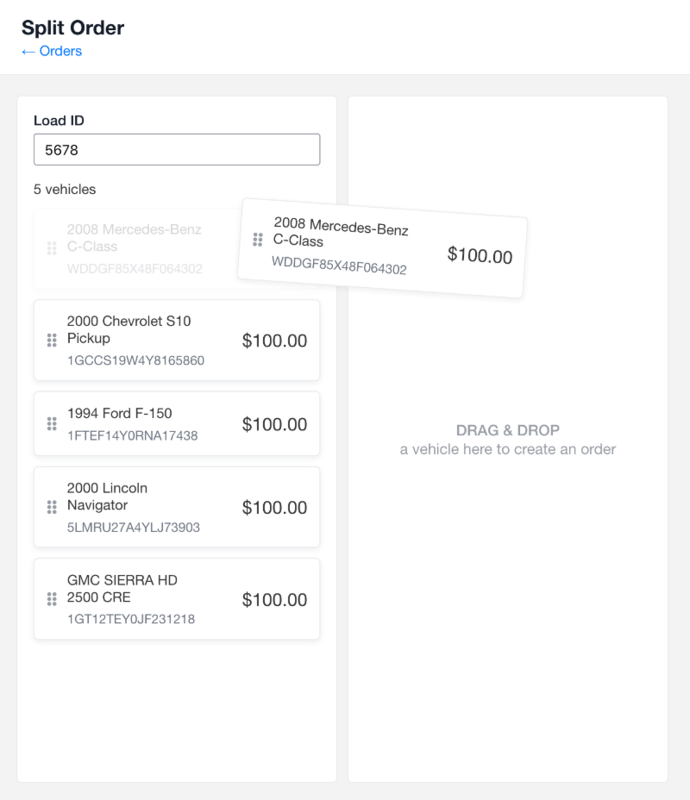 Regarding Price, if price per vehicle is entered in the original order before splitting, the price will automatically update after splitting orders. If price is entered for the entire load, after splitting, the original load will keep the total price and the new orders will be marked as "$0.00". Once they've been split, you can edit the information within each order by selecting the "edit" button. 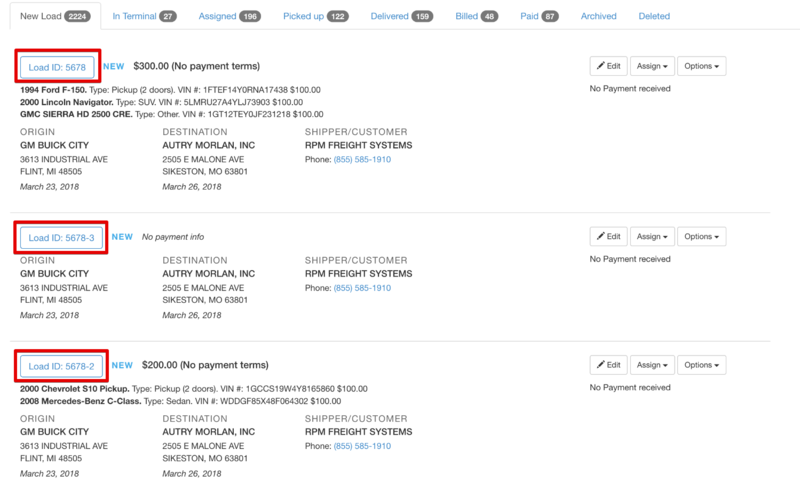 This will allow you to assign the load to a driver, change delivery information, add special instructions, and any other necessary changes. If you have any questions, feel free to reach out to us on our support chat at the bottom right of your screen!